The calendar may say spring, but the weather says fall! This spring I am wearing LOTS of jackets and cardigans. Luckily over the past few years, I've put in a nice selection of them to choose from. One of my favorites, is this Redford Jacket I discovered and received through my ambassadorship with Aventura Clothing. 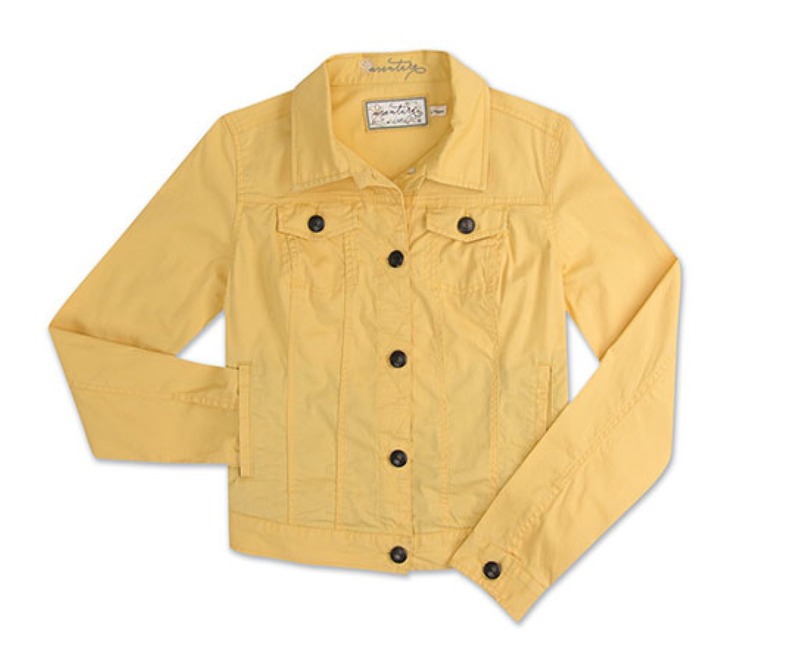 It has a classic denim jacket style, but comes in a variety of colors and is a lighter weight. I have always had trouble with traditional denim jackets being too stiff and bulky to fit my curves. This jacket is thinner, but still delivers all the style of the classic. I have it in both black and white and I really want another color. Maybe this chamomile one! I have quite a few things in my closet that this yellow would go nicely with for sure! Since this jacket is so easy to wear and goes with everything, that's exactly how I've been styling it. 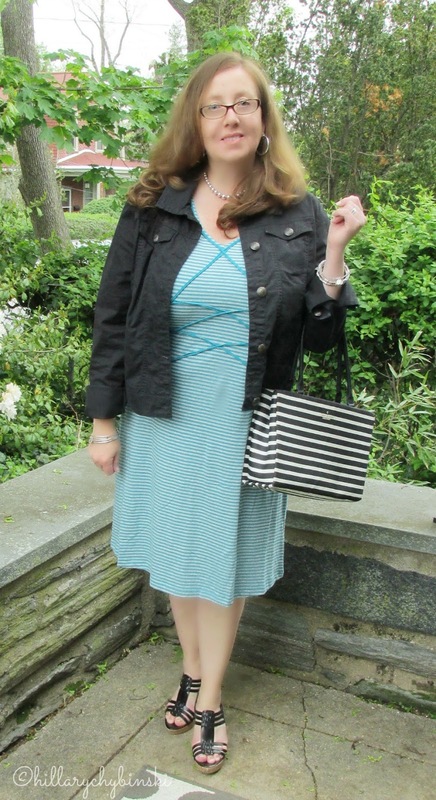 I wore it most recently over a simple cotton dress (also from Aventura in my ambassador package). With nice jewelry and some wedge sandals, it's a fun look. You could also swap out flip flops or flat sandals for an even more casual, but still fun look. 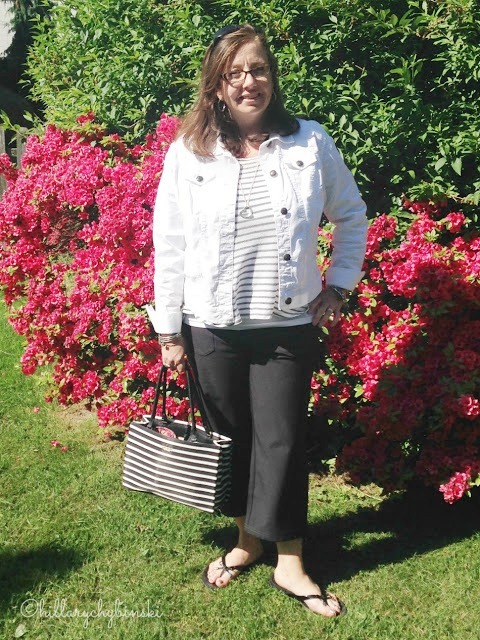 The same style summer jacket works great over t-shirts, with yoga pants, cropped pants or jeans. You could easily style it over a skinny t-shirt and jeans with boots or heels for a dressed up funky look. Because the jacket itself is not bulky, it layers nicely over a button down shirt. I like the cuffs rolled up, and that works nicely with this particular button down shirt because it has three-quarter length sleeves. I even wore one over a boho-style shirt. It was comfortable, and just the right amount of warmth in this changeable weather we're having around here. 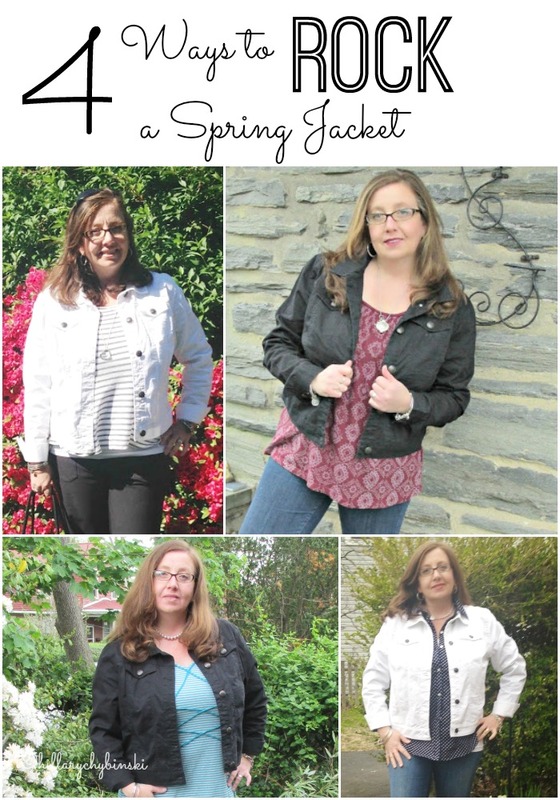 So a spring jacket can definitely be a wardrobe necessity. It doesn't have to be expensive, but it should be the best quality your budget can manage. Start with a neutral color, for more style options, then as your budget permits, consider adding a bright colored jacket as well. I hope you were inspired by my ideas for real fashion for real women. 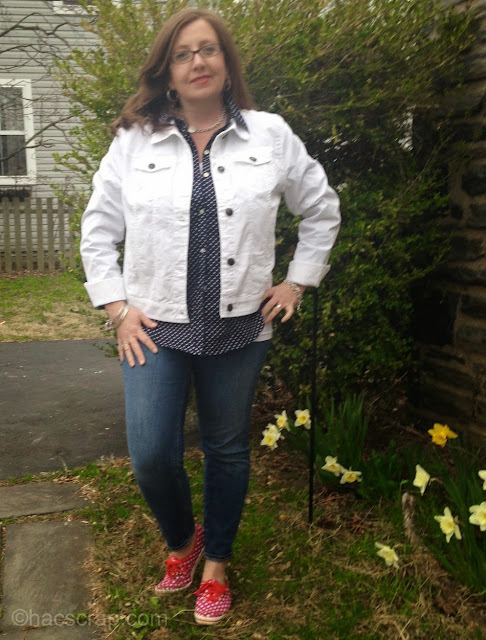 Loved the White Jacket with the Red Polka dot tennies. My favorite of your looks. Super cute! I have this jacket in teal and I love that it is lighter weight than a denim jacket! 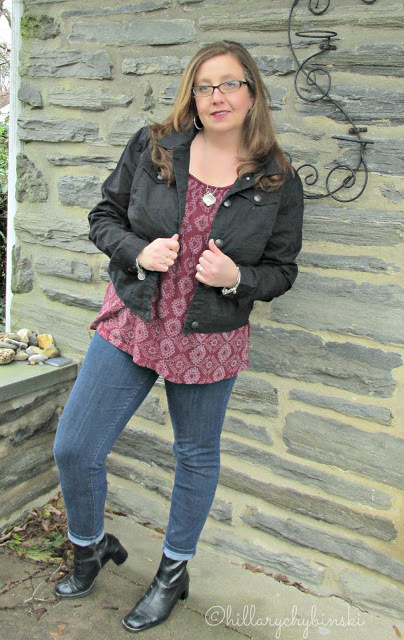 I love the black jacket with the boho top and jeans!